The commissioning of 15 new lieutenants was held as part of Still Others today. Photos: Cazeil Creative. 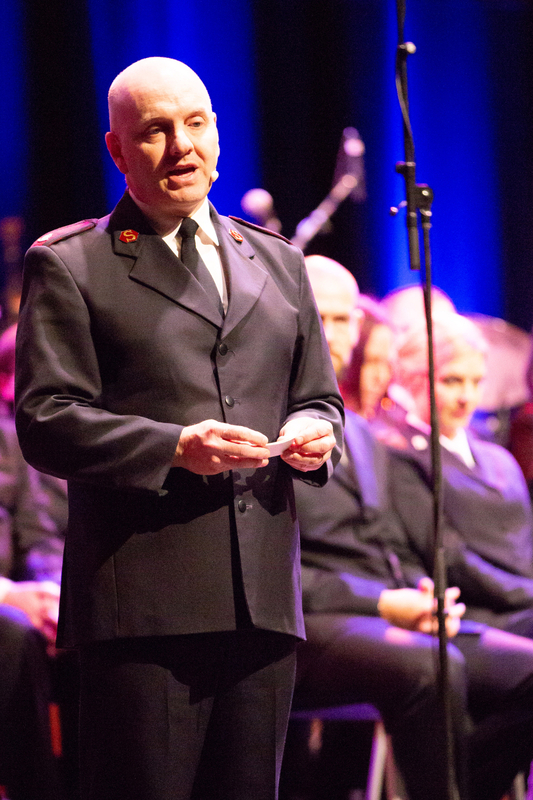 Fifteen new lieutenants of The Salvation Army Australia Territory have been ordained and commissioned during a ceremony at Melbourne’s Convention Centre today (Sunday, 2 December). World leaders General Brian Peddle and Commissioner Rosalie Peddle, and Australia Territory leaders Commissioners Floyd and Tracey Tidd participated in the ordination and commissioning. The new lieutenants graduated as members of the Messengers of Compassion and Messengers of the Gospel sessions through study at campuses of Eva Burrows College. They are Peter and Andrea Martin, Ashley and Rita Biermann, Star Conliffe and Charlie Jung, Leanne Hardaker, Natalie and Scott Frame, Stephanie Savage, Danielle Starr, Keryn and Aaron Coombes, and Mitchell and Sally Stevens. The new lieutenants will take up appointments from the start of 2019. They are the first officers commissioned into the new Australia Territory, which was officially launched by General Brian Peddle in Melbourne on 30 November, ending the two territory Australian structure (Southern Territory and Eastern Territory). In a farewell message as National Training Principal and Head of Eva Burrows College, Major Gregory Morgan (pictured right) referred to endings and beginnings – for the new lieutenants, college staff and himself moving to new appointments, and uniting two territories into one. Endings and beginnings were bittersweet companions, he said. “Whether we like it or not, to make a new beginning involves an ending. That brings elements of regret and loss, coupled with anticipation of what can and will be,” Major Morgan said. Commissioner Rosalie Peddle (pictured right) referred to the significance of being a messenger in her talk to the new lieutenants and the congregation. She said Google’s definition of the word messenger was boring. It simply said: One who carries the message. That, she said, was not God’s intention for one of his messengers. To be a messenger of God, she said, we needed to live and declare the Gospel of Christ with clarity, conviction, confidence, compassion and celebration. “People need to see Jesus and will only see him through holy people,” she said. Commissioner Peddle also said that God was a “more than enough” God and because of that, we, as his messengers, could be more than conquerors. 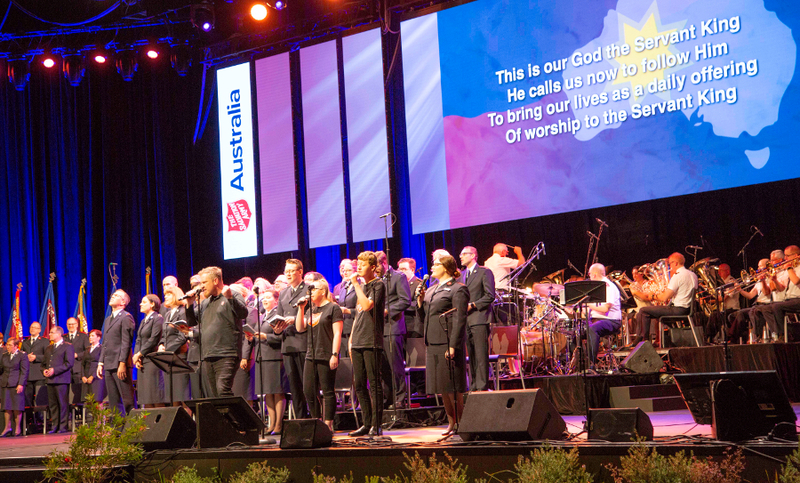 Musical support for the commissioning and ordination was provided by the Melbourne Staff Band and a combined Staff Songsters group. Yesterday evening, the 15 cadets officially graduated at a special dinner that also included the Fellowship of the Silver Star presentation. Major Morgan oversaw the graduation ceremony, during which each of the cadets received their Certificate of Salvation Army Officer Training. In a poignant moment during the meal, the tradition of the cadets presenting their parents/mentors with a silver star, honouring the role these people have played in their lives, was also observed. Commissioner Peddle, who is herself a Silver Star mother, led this special time. 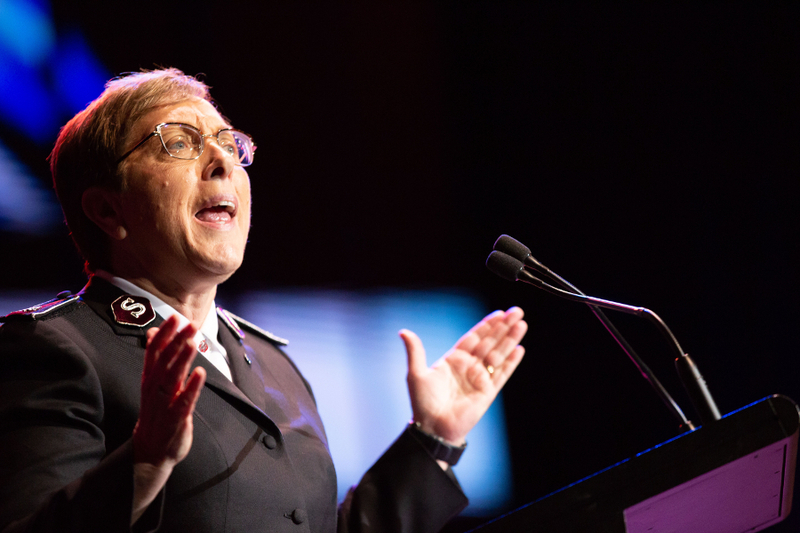 In what was an intimate gathering, two of the cadets, Danielle Starr and Ashley Biermann, both shared powerful and moving stories of the work of transformation God has done in their lives, in a journey that has led them to Salvation Army officership. General Peddle brought the occasion to a close by reflecting on the Old Testament story of Hannah, “who gave over – who surrendered – her young son Samuel to the Lord completely”, a message that was as much for the families of the cadets as for the cadets themselves. Back in the early 1900's ALL Australian officers were trained in Melbourne and appointed to anywhere in Australia. Were not these the FIRST Australian Territory Officers ??? Yes, it is correct that a standalone Australia Territory existed between 1912 - 1920, and officers in that time were trained in Melbourne. However, this article, which is part of our coverage of the Still Others event, is intended to be read in the context of the weekend launch of the new Australia Territory, and hence these are the first officers of this new territory to be commissioned.